Climate change will increase the intensity and frequency of droughts in the Caribbean region, seriously undermining efforts to scale up food security to eradicate hunger. According to a new Food and Agriculture Organization (FAO) report, the region experiences drought-like events every year, marked by low water availability which affects agriculture. The report points out that the Caribbean accounts for seven of the world’s top 36 water-stressed countries. Barbados features in the top 10. The FAO defines Barbados, Antigua and Barbuda and St. Kitts and Nevis as water-scarce with less than 1,000 m3 freshwater resources per capita. “Drought ranks as the single most common cause of severe food shortages in developing countries, so this is a key issue for Caribbean food security,” Deep Ford, the regional coordinator for the FAO in the Caribbean, said. Another problem in the Caribbean is that it faces alternate wet and dry seasons. The region experiences intense dry seasons, particularly in years with El Niño events. The impacts are usually offset by the next wet season, but wet seasons often end early and dry seasons last longer. The predominant practice of rainfed agriculture means that the region is vulnerable to variable and unpredictable rainfall, the report says. Agriculture is the most likely sector to be impacted, with serious economic and social consequences. With irrigation use becoming more widespread in the Caribbean, countries’ fresh-water supply will become increasingly important, the report says. Drought can affect the agriculture sector in several ways: by reducing crop yields and productivity and by causing premature death of livestock and poultry. Even a dry spell of 7-10 days can result in reduction of yields. Farmers, particularly small-scale farmers, are vulnerable to drought as their livelihoods are threatened by low rainfall where crops are rainfed and by low water levels. Livestock grazing areas change in nutritional value, as more low-quality and drought-tolerant species dominate during extensive droughts, causing the vulnerability of livestock to increase, the report adds. Frequent natural hazards occurring in the Caribbean are climate driven. The region’s vulnerability to climate-related hazards is manifested in loss of life as well as annual economic and financial losses that result from strong winds, floods and more particularly drought. Two of the most severe Caribbean droughts in terms of intensity, geographical extent and economic impact on agriculture occurred in 1997-1998 and 2009-2010. Between 1970 and 2000, the Caribbean suffered direct and indirect losses estimated between US $ 700 million and US $ 3.3 billion due to natural disasters associated with weather and climate events. So far, the Caribbean has focused mainly on floods and storms. Currently, it lacks effective governance, capacity and finance to deal with drought. The region has poor national coordination, policy-making, and planning in place. While many regional and national programmes have initiated responses to build resilience against drought impacts; too many of these are still in the draft stage, poorly implemented, or in need of review. 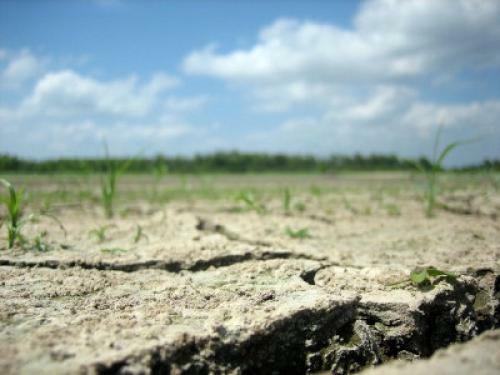 The severity of the 2009-2010 drought sounded the alarm bell in the region. The worst events in over 40 years led to significant water shortages across the region and resulted in huge losses from key economic sectors. Severe recent droughts have shown the significant impacts such events can have on agriculture, water resources and ecosystem services.